Clean vocalist and rhythm guitarist for the Christian melodic metalcore band The Devil Wears Prada. 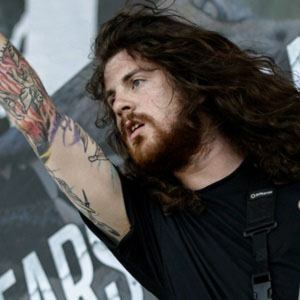 He was not a part of The Devil Wears Prada's first show, but joined the group shortly after in their first year together in 2005. Between 2005 and 2015, they released albums titled Dear Love: A Beautiful Discord, Plagues, With Roots Above and Branches Below, Dead Throne and 8:18. He was born in Dayton, Ohio. He married a girl named Karee in 2010. He is joined in The Devil Wears Prada by front man Mike Hranica.